My friend and fellow athlete in Special Olympics Illinois, David Raineri, 16, of Downers Grove, sat one day after school with his legs outspread and a baritone horn upright on his lap. He was practicing a well-known Christmas song, “Angels We Have Heard On High,” for his school’s band. David is a teen just like any other typically developing teen his age. The quality that makes him different is that he was born with Down syndrome. This past March 21, we celebrated World Down Syndrome Awareness Day, an annual day where we learn to see Down syndrome, and other special needs, as a gift, and we learn to focus on an individual’s abilities. People with special needs are a vital part of their families and bring an added dose of challenges. “Aside from the day-to-day challenges of David having to work harder at things than other children, we really haven’t treated him any different than our other children,” said Don Raineri, David’s father. Similar to David, I too have had to work harder than other peers my age, and my parents treated me just as they have my younger sisters. Even though David and I have different special needs labels and face somewhat different challenges, we both are men who have achieved many accomplishments in life— from competing in Special Olympics Illinois to playing a musical instrument. David plays the baritone; I have played the guitar. David has competed in horseback riding, basketball and karate; I have competed in aquatics, basketball and softball. David is an altar server at Holy Trinity Catholic Parish in Westmont; I am a lector at the same parish. 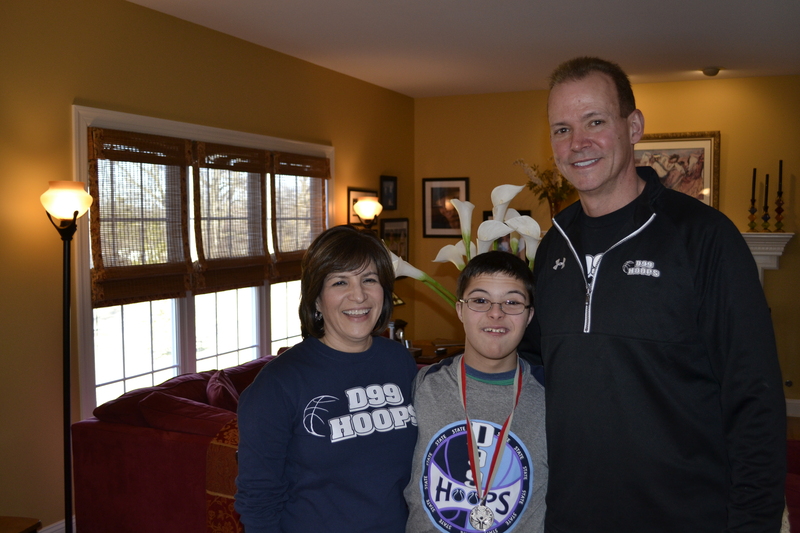 On the weekend of March 13, David competed at the State Basketball Tournament for Special Olympics Illinois with his high school team – “D99 Hoops.” Although David and his team received a silver medal, winning is not the primary focus of the competition, as it is for professional sports and many levels of amateur sports. For David’s family, and other fans for Special Olympics, it’s pure joy to watch the competitions. For David, his favorite part of competing is “when the crowds cheers for me and my friends,” he told me. The best part for our families and friends is to celebrate the many abilities that we do have. “The greatest part of having a child with Down syndrome [or other special needs] is celebrating all of the milestones achieved,” said Don. David’s family did just that this past month when David had the opportunity to play at Carnegie Hall in New York City. He, and one other person with Down syndrome, also from Downers Grove South High School, performed alongside their peers. “It was really an awesome time,” said Wally, David’s mother. This is a perfect example of how they are playing Unified, a concept from Special Olympics that encourages people with and without disabilities to play alongside each other. My friend Tim Shriver, Chairman of Special Olympics Inc. worldwide, advocates for people to play Unified—both in sports and in other avenues of our lives. “We can win the battle against humiliation and play Unified to teach respect to the world over,” Tim said in an email regarding the March Special Voices column. Join me in celebrating the inspiring accomplishments that those of us with special needs achieve every day. 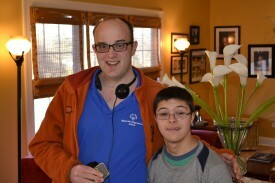 To listen to an interview with David and his parents, visit www.SpecialChronicles.com. To view a multimedia version of David’s story, visit the Special Chronicles YouTube page. Daniel Smrokowski is an athlete and Global Messenger with Special Olympics Illinois on the Southeast Association for Special Parks and Recreation (SEASPAR) team. He is also the Founder of Special Chronicles nonprofit new media company, a pioneering network that gives respect and voice to people with special needs. Come join us at: SpecialChronicles.com.